BIG BITE DUTCH TREATS. Traditional Dutch treats. 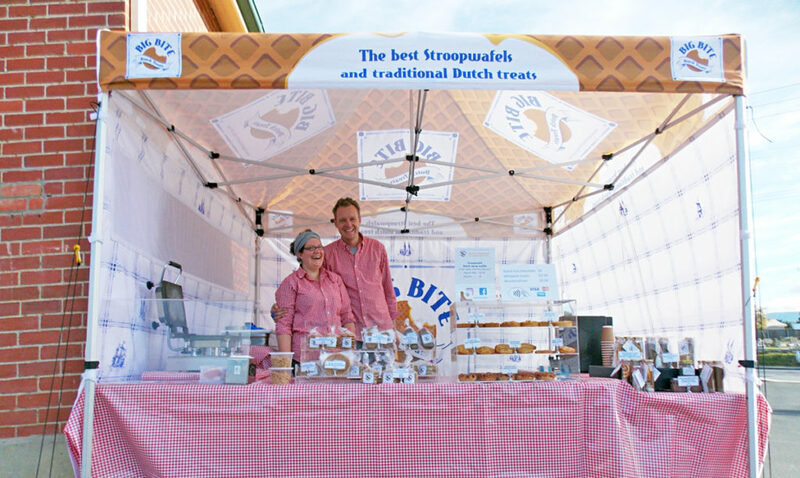 Richard and Melanie migrated from the Netherlands to the outback community of Halls Creek in Western Australia in 2010. After different jobs and adventures all over the mainland, they eventually visited Tasmania, and found it to be the perfect place to call home. 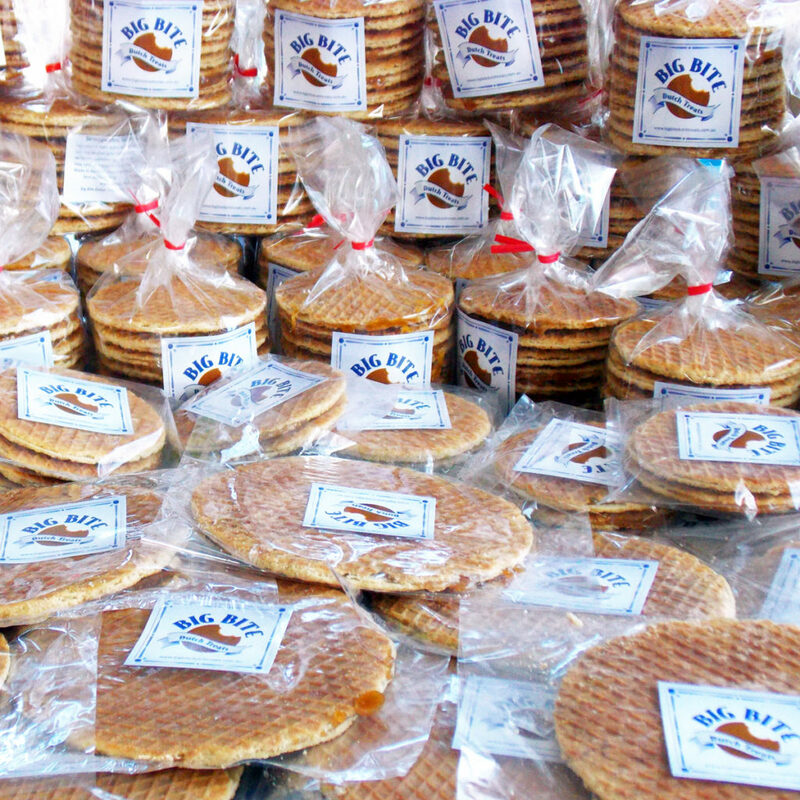 Stroopwafels are a very traditional Dutch syrup waffle. When the weather is cold, they can often be found placed on top of a hot drink, so the syrup melts, just a little. The time and place now seemed right for a business idea Richard and Melanie had talked about for years. They decided to open a little Dutch bakery! There was enthusiastic support from business advisors and friends. The couple applied for NEIS training with Konekt Employment in Launceston and were accepted the next day. Richard was originally a youth worker and Melanie a community worker. Both were keen cooks, but never at a commercial scale. Going through the planning process with NEIS, the business began to take shape, and a small mobile operation offered the most effective model. Researching equipment and recipes were both important elements to get right. Once the waffle iron arrived from the Netherlands, weeks of extensive testing and eating followed. 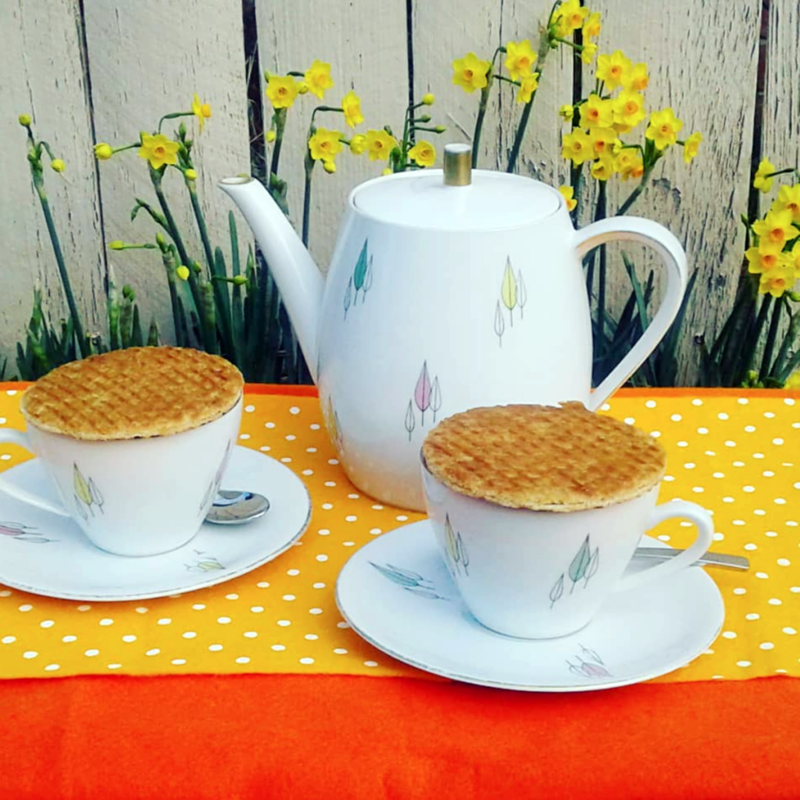 Good Stroopwafel recipes are tightly held secrets in Holland. Richard and Melanie were determined to create their own signature recipe, using only Australian ingredients. That recipe is now their best-kept secret!